Until the day I received this Dan Pound CD, I’ve never even remotely heard of him before. I looked around on the Internet some and discovered that this musician from Santa Rosa, California had several (many, in fact) other titles out and available. Cocoon is Pound’s 12th CD. Now that I’ve heard some sound bites of a few of his other discs like Medusazoa (2011), Living Planet (2009) and Medicine Bag (2006) I now realize that some of his work now goes on my current ‘want list’. 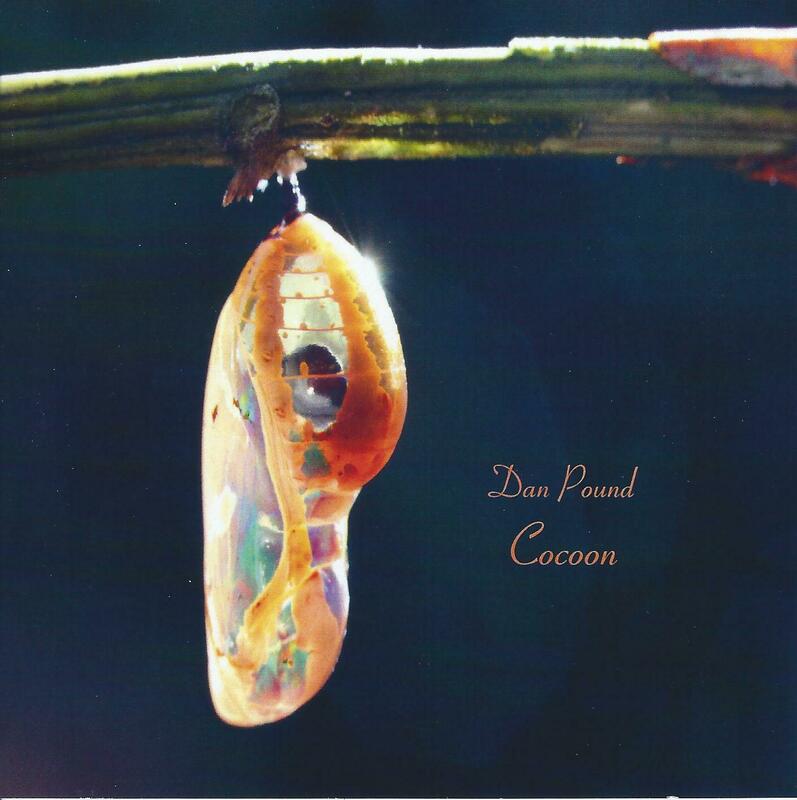 On Cocoon, Dan Pound plays mostly analog gear, ethnic instruments and guitar. Tracks that definitely make this CD a keeper are the 15-minute opener title cut Cocoon which defines ‘new age electronic’ in its own right (at least, I thought so), the beautiful Starting To Change (is that a wooden flute I hear? ), the almost-mesmerizing 14-minute Life Stages, the superbly produced Transmutate and Emerge. After I gave this disc a second spin, I believe I got more out of the closer – the 12-minute epic Release. Have to admit that with this particular genre, the tunes that possess the longer durations are likely the best songs that the given artist or band has to offer their listeners. Overall, Cocoon is a 65-minute mind elevating journey of tranquil ambient music soundscape that one must / should get themselves in the right mood to properly enjoy before putting it into their stereo or CD player. Some big-time ambient / new age enthusiasts will likely say that these tracks aren’t songs – that they’re compositions. I tend to agree with that. Recommended for fans of Robert Rich, Brian Eno, Steve Roach, Michael Steams, Tangerine Dream and Vangelis. I personally know several people that will likely get even more out of this title than I did and I would give it a four-and-a-half stars out of five rating. A true music work of art.